Before “pumpkin spice” became a flavor synonymous with seasonal lattes, cinnamon, cloves, and other warming herbs were valuable medicines used to keep out the cold. The idea of an herb possessing heat comes from ancient Greek and Chinese healing traditions, where the notion of temperature is one of the basic fundamentals of good medicine. Before the advent of clinical trials, ancient herbalists used their sense of taste to determine the medicinal function of plants. Herbs with sour and bitter tastes were classified as cold, while sweet and spicy flavors signified warmth. Think of hot and cold like the interplay between yin and yang, where hot herbs are used to treat cold illnesses (and vice versa). This effort to establish temperature balance is a feature found throughout herbal medicine traditions, where a cool herb might be paired with hot one to match an appropriate response to a disease, and prevent side effects. This may explain the peculiar seasonality of the warming herbs found in pumpkin spice. Just as we would use cold plants (such as cucumber or watermelon) to cool us on a hot day, hot spices (like ginger and allspice) serve to warm us up on a cold morning. Warm herbs raise our internal temperature, and can even cause us to perspire. When the wind blows cold and our body and spirit become sluggish, warm herbs stoke our internal fire. Some herbs are considered so hot that they are only to be used in extreme circumstances. For example, the hottest plant in Chinese herbalism, aconite, is reserved for someone deeply beset by cold. Aconite is prescribed in emergency situations of devastated yang, where a patient has a weak or damaged heart, vomiting, and cold limbs due to poor circulation. Otherwise, it’s considered a poison. Many other warming herbs lend themselves to everyday use, blurring the line between food and medicine. Those that aid in digestion often possess a pleasant taste, and probably lurk in your kitchen cupboard. One of the most treasured warming herbs is nutmeg, which can bring big flavor in small amounts. According to Maude Grieve’s 1931 Modern Herbal, nutmeg helps digestion for those with a weak stomach, “but if used to excess may cause over-excitement.” In large amounts (three tablespoons or more) nutmeg has been known to trigger long lasting and generally unpleasant delirium, with fatigue, vomiting, and vague hallucinations. Nutmeg has been used safely in both food and medicine since ancient times. Despite the name, nutmeg is not a nut, and will not cause problems for those with nut allergies. In addition to addressing digestive upset, nutmeg is also used to relieve depression, promote sleep, and sweeten bad breath. In the Middle Ages, nutmeg became big business as powerful nations vied for a nutmeg monopoly. Nutmeg comes from an evergreen native to the tropical islands of Indonesia. Control of these islands passed from the Arabs, to the Portuguese, to the Dutch, to the British, and back to the Dutch, who employed various schemes to maintain exclusivity, and inflate market value. 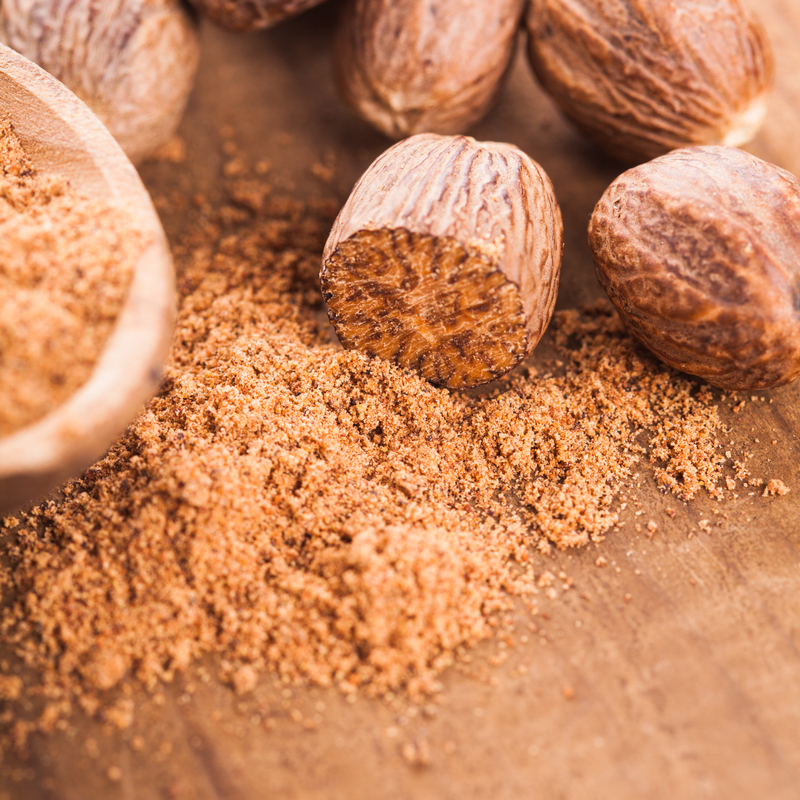 Nutmeg’s alluring scent comes from high concentrations of essential oils, which rapidly dissipate once released. This is why the freshly grated spice has superior taste and medicinal quality over pre-packaged powder. 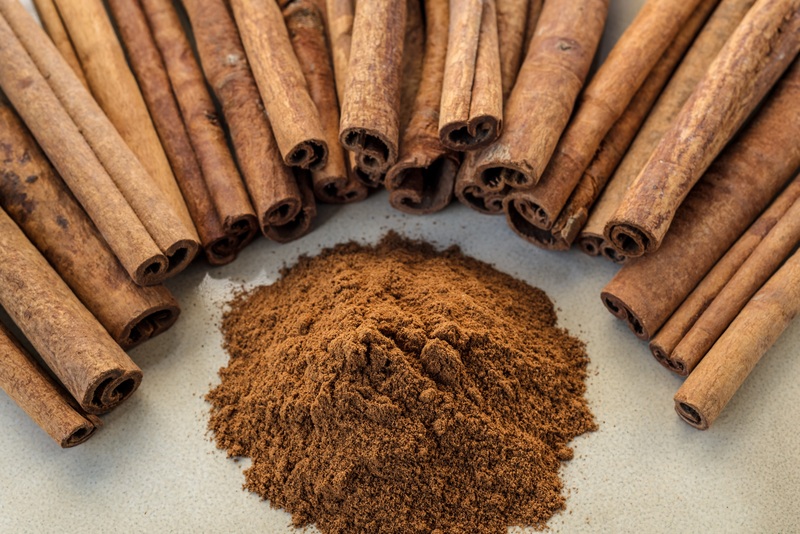 Cinnamon is synonymous with sweet treats (such as snickerdoodle cookies and cinnamon rolls), but has also served as a treatment for pain and digestive complaints for thousands of years. Like nutmeg, cinnamon also comes from an evergreen tree native to Southeast Asia. The cinnamon tree is best known for its sweet bark that curls as it dries. Ceylon cinnamon of Sri Lanka is a sweeter and more expensive variety, while Cassia bark is more pungent and considered an inferior substitute. Both barks are sold in U.S. commerce as cinnamon without distinction. Cassia is the cinnamon known to ancient Chinese doctors, who feature the spice in many classic formulas. Chinese medicine uses both the young branches of cinnamon twig (gui zhi) and the inner bark (rou gui) to improve circulation, treat intestinal and uterine cramps, back and joint pain, and to calm a cough. Cinnamon is antibacterial and antifungal and is often used to treat upper respiratory infections. Its spicy-sweet scent comes from strong essential oils. Modern research supports cinnamon’s age old use as a pain reliever. 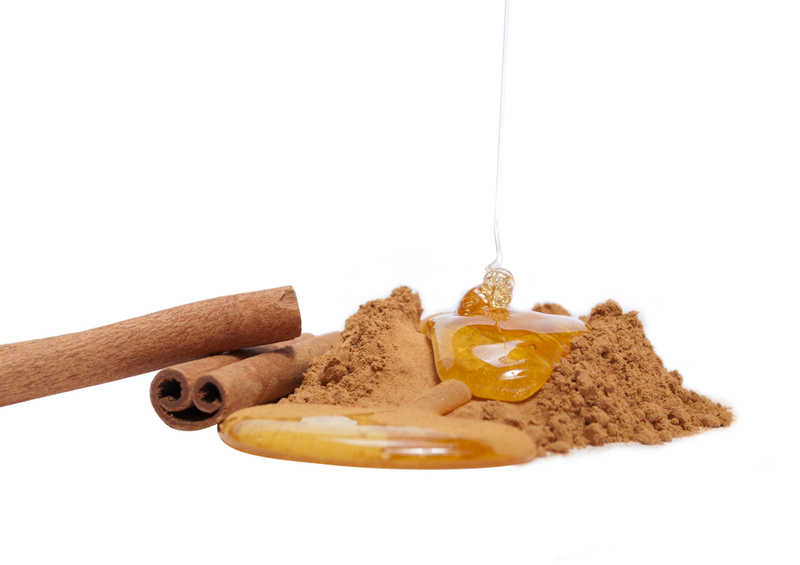 Further studies have shown that cinnamon can help balance blood sugar and reduce insulin resistance. Preliminary evidence suggests that daily cinnamon consumption of a teaspoon or more can reduce bad cholesterol and triglycerides. While many of the familiar warming herbs are relatively safe to use, there are times when they should be avoided. The downward bearing action of ginger, for example—which can reliably quell nausea, or relieve menstrual cramps— may also trigger a miscarriage if taken in great amounts at the early stages of a delicate pregnancy. Like cinnamon (which should also be used with caution during pregnancy), ginger helps with the onset of upper respiratory infections brought on in cold weather. Chinese herbalists use fresh ginger to combat coughs and stuffy sinuses, and select dry ginger for digestive complaints. Ginger has all of the heat and none of the sweet associated with many warm herbs, but its flavor marries well with sweet and savory recipes alike. 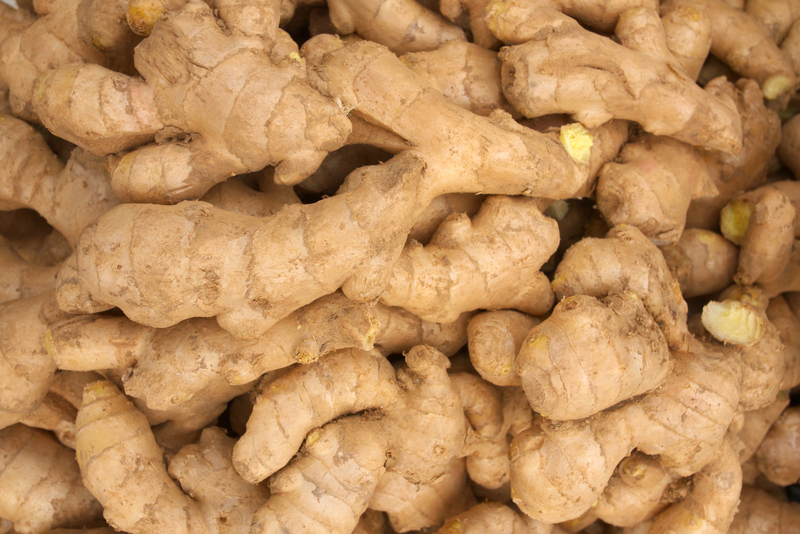 Ginger not only grants food a fragrant and spicy kick, but actually stimulates digestive action. Most applications call for ginger skin to be removed and discarded, but some herbalists use the skin to promote urination and resolve edema. Another aromatic spice from another Southeast Asian evergreen. Clove stimulates circulation and digestion like other warming herbs. Because of its tongue-numbing aftertaste it is used sparingly in culinary applications. The word “clove” comes from the ancient Roman word “clavus,” meaning nail, referring to the shape of the dry flowerbud that is often inserted into oranges for a seasonal pomander. A few cloves eaten after a meal can aid in digestion and freshen breath. In medicine, clove is most often used in the form of an oil, which is administered for insomnia, parasites, and toothaches. Cloves are blended with tobacco to make fragrant Indonesian cigarettes favored by generations of hipsters. These cigarettes are called krataks—a word which mimics the crackling sound cloves make as the burn. Most of the best known warming herbs come from tropical spice islands, but angelica is a warm root native to cold Europe. You won’t typically find angelica in a pie, but it could easily find a home in one, as it has a sweet-spicy taste profile similar to the pumpkin spice group. Angelica, which has a distinct butterscotch aroma, was once a popular flavoring for candy and liquors. 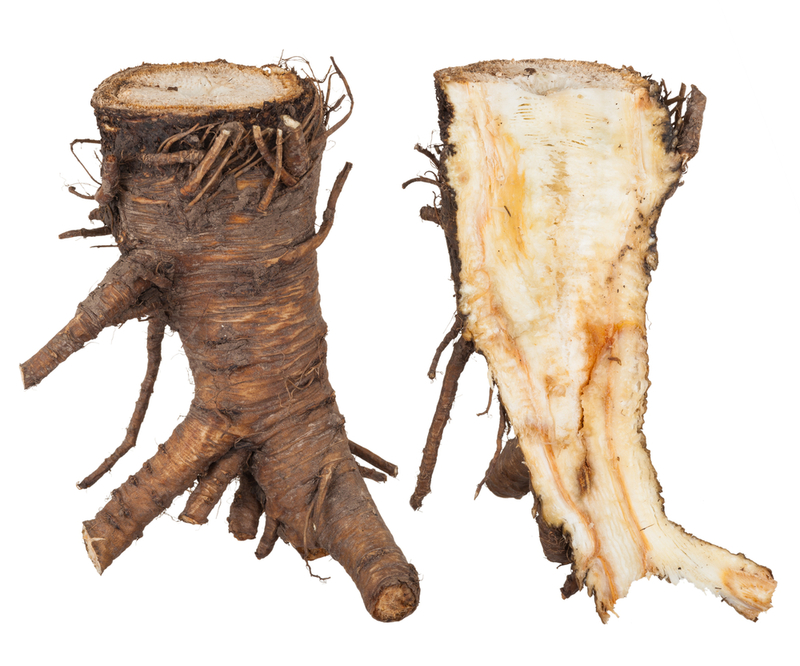 The botanical name, Angelica archangelica refers to its reputation as the “root of the Holy Ghost,” and the plant has long served as a magical protector. Like its Chinese cousin, dong quai (Angelica sinensis), angelica has been used to address pain and menstrual cramps, but it is not nearly effective as dong quai at addressing hormonal imbalance. Like other warming herbs, angelica is also used to treat digestive problems, and respiratory infections. Another digestive aid from another Asian evergreen, this time with a licorice flavor. Star anise is easily identified by its eight-pointed seed pods. Star anise comes from China, and has been used in food and medicine for thousands of years. A similar looking star anise from Japan should be avoided because it is toxic. Star anise should also not be confused with anise seed—a relative of fennel. Anise seed is also used to aid digestion but is sweeter than star anise, which lends itself more to savory dishes. Switzerland-based drug maker Roche uses enormous quantities of star anise to manufacture its flu drug, Tamiflu. In 2005, the world experienced a brief shortage of star anise due to increased Tamiflu production in response to SARS and bird flu. Plain old star anise can also be used to treat colds and flus. Drug makers seek its high shikimic acid content, because it interferes with viral replication. But star anise also functions as both an antibiotic and antifungal. In herbal traditions, making medicine can be as easy as brewing a cup of tea. 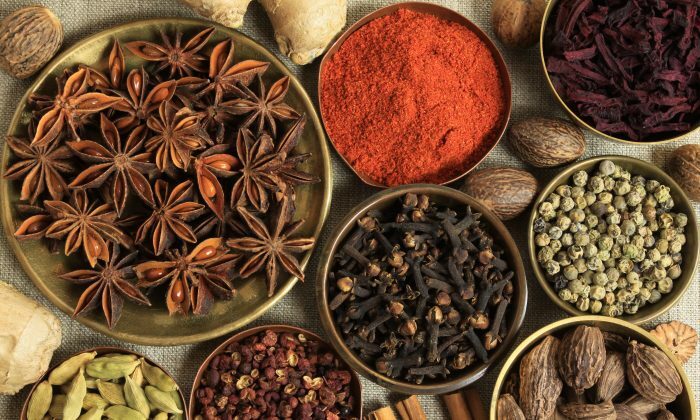 Many of the above herbs are found in the spiced teas of India and Ethiopia, which are often served at the end of a meal. Besides hot water, other mediums used to extract plant medicine include alcohol (tincture), vinegar, and honey, which not only preserves the medicine, but also imparts its own healing virtues. Blend ingredients to a uniform paste. Use like you would plain honey: as a spread (makes an excellent cinnamon toast), stir in tea, or add a tablespoon to mashed sweet potatoes or butternut squash. It tastes especially good on a cold day. A little goes a long way. Pumpkin meat is an exceptional source of vitamin A, and also contains beneficial amount of vitamin c and potassium.